Lately I saw an increasing interest for IP SLA monitor and analyze of the data output. I believe that you already know that you can do IP SLA monitor with a lot of tools from the most expensive ones which include support and assistance to the free ones like MRTG or RRDTOOL. From the statistics that I have, more than 50% of the network engineers interested in this tools have a problem either with the money (low budget or the on and on “we do not have money this year for that investment” ) or making free tools actually work and report accurate data. Yesterday I received an e-mail from SolarWinds that announce me about their FREE IP SLA monitor tool. Usually I ignore such e-mails as for most of them there is always a catch, but since it was from a company that made me a very good impression over the year by offering exactly what’s specified in the advertisement, I said that I should give it a try. Before I present this to you, let’s make something clear. This is not a commercial post, e.g. post to be pay or another things like that. I do not have time and I don’t want to do such stuff of my blog, but when some product really worth to be tried I think that the development company deserve to be specified. Since it’s a free tool don’t expect to have all the features of the one which you are paying for it, but compared to the headache of implementing other free tools (MRTG, RRDTOOL) you’ll find this one to be piece of cake. Everybody who has an idea about networking can use this without any problems. Configuration is as simplest as it can be. You have to choose the destination IP or hostname to monitor then pick the monitor service and polish some parameters to your particular network. That’s it! One particular issue to me is that this tool is working only from Windows. 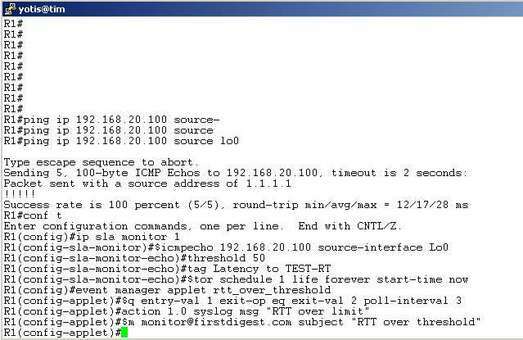 In some previous post, I explained how to configure a basic IP SLA monitor for checking the round-trip time between two Cisco routers. Because in the comments of that post I have been asked how you can get e-mail notification for IP SLA monitor, I have decided to write another post to extend a little bit this topic. 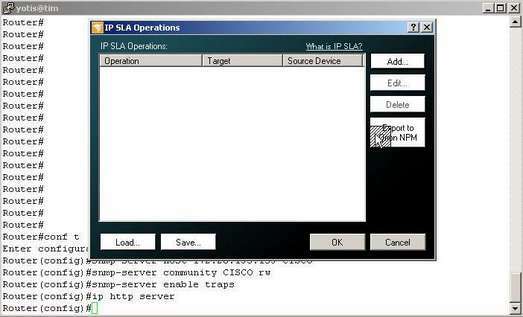 To accomplish e-mail notification for IP SLA monitors we will use Embedded Event Manager (EEM) and some SNMP knowledge.Cisco IOS EEM is a powerful device and system management technology integrated into specific Cisco switches and routers. EEM gives us the ability to customize Cisco IOS behavior based on network events as they happen. EEM will use a SNMP event to report anomalies in regarding the RTT threshold value. For SNMP to work we need to know and Object name and the OID associated with it. In my example I will use the SNMP Object name: rttMonCtrlOperOverThresholdOccurred (OID: 1.3.6.1.4.1.9.9.42.1.2.9.1.7). 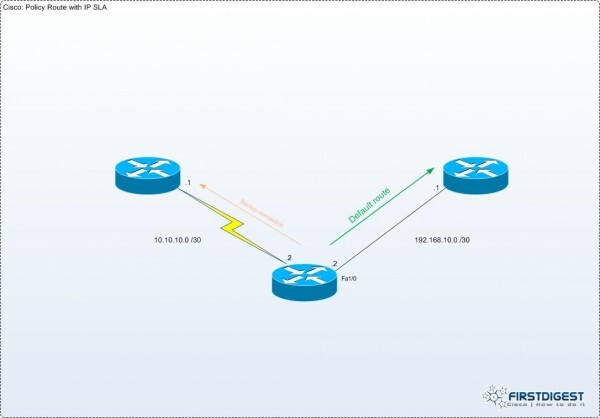 On Cisco website you can find more about this SNMP Object and I advice you to read it before going on with this tutorial. Below you have a basic example about how to get e-mail notification when the threshold of the RTT IP SLA monitor is reached. More examples you can find on Ivan Pepelnjak’s blog: blog.ioshints.info . It’s a good idea to check them also. If you cannot check the tutorial above, please read this text file, as it contains all the information from the video presentation.